Earlier today Apple revealed that this year’s Worldwide Developers Conference (WWDC) will take place at Moscone West in San Francisco, California. The annual event will begin on June 10 and run through June 14 with tickets scheduled to go on sale at 10am Pacific / 1pm Eastern time on April 25. The five day conference will likely kick off with a keynote address from Tim Cook and company. A press release on the matter said developers have had the most prolific and profitable year ever. 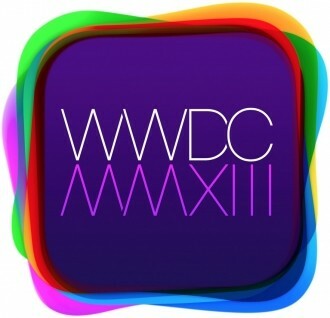 What’s more, Cupertino said they can’t wait to get new versions of iOS and OS X into the hands of developers at WWDC. Barring any major hardware announcements (which don’t seem likely given Tim Cook’s recent comments during a quarterly earnings call), iOS 7 will probably take center stage at the week-long conference. What makes the upcoming version of iOS even more interesting is the management shakeup that went down late last year. We’ve heard several rumors that iOS 7 could feature several new design elements which, given Scott Forstall’s exit, could very well be true. Most say he was a proponent of skeuopmorphic design while others like Jony Ive prefer a flat design. Ive now resides over the interface design team which means he likely has a much stronger influence in the direction that Apple’s mobile operating system will take moving forward. As always, tickets for the conference are expected to sell like wildfire so if you are interested in going, you’ll need to reserve your spot as soon as pre-orders go live tomorrow.